Whenever I’m near the Louvre, I always head to the Rue Saint-Honore to visit one of the best chocolate shops in Paris—and actually in all of France: Michel Cluizel. 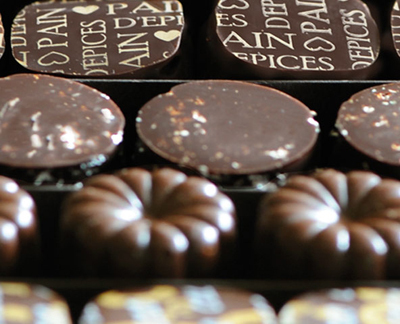 You can’t go wrong with any of the distinctive products sold at Michel Cluizel, as they’re been crafted by world-class artisans drawing from nearly 70 years of chocolate-making expertise. 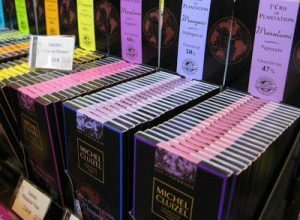 Run by a third-generation family with roots in Normandy, Michel Cluizel has been making top-quality chocolate since 1948. 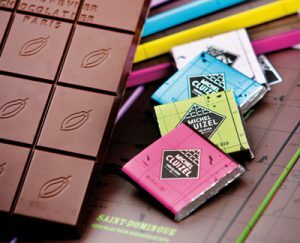 Founded in Damville, France—a tiny town with a population just above 2,000 that’s about halfway between Paris and Caen—Michel Cluizel began when Marc and Macelle Cluizel decided to launch a chocolate-making enterprise from the kitchen of the farmhouse they’d inherited. Michel Cluizel—their son and the namesake of the business—began apprenticing with his parents the following year at just 16 years of age. The rest is chocolate history. Michel Cluizel only works with single-crop growers so that the full breadth of the unique terroir of each plantation is readily apparent in every cocoa bean produced. Each grower also uses a proprietary process of “sweating” their harvested beans, during which the pulp surrounding the beans is fermented and trickles away. “Sweating” is a key step in preserving and enhancing the flavor of the cocoa beans. The beans are then shipped to the Cluizel factory in Damville. 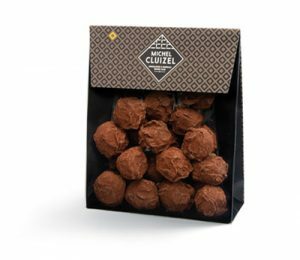 There, they are slow roasted to draw out their rich flavors and crafted into the wide variety of Cluizel products that are sold in France at Cluizel boutiques and through a small network of resellers, and also shipped to buyers around the world. Among these delicious treats are a wide selection of milk- and dark-chocolate bonbons; dark-, milk- and white-chocolate bars; the “Secrets de Pros” collection that provides top-quality ingredients to pastry chefs and other bakers of high-end desserts; and a variety of special products (large and small) designed for the holidays and other special occasions. Many of the chocolate bars are named directly for the cocoa plantations on which the beans grew and were harvested (such as Plantation Mokaya Noir and Plantation Mangaro Lait), while others combine chocolate with such ingredients as candied orange peels, salted-butter caramel, speculoos and other fantastic sweets. And, of course, there are dozens of small chocolates, bonbons, ganaches and truffles to choose from. There are three Michel Cluizel boutiques in Paris—the Rue Saint-Honore flagship shop, a Marais boutique on the Rue des Rosiers and one just north of La Madeleine on Rue Tronchet—as well as one in the Parisian suburb of Neuilly Sur Seine. 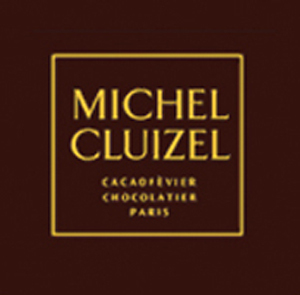 Michel Cluizel chocolates also can be purchased at several carefully selected resellers. In Paris, this includes Galeries Lafayette (both the Lafayette Gourmet and Lafayette Maison stores on Boulevard Haussmann), La Grand Epicerie de Paris (the food emporium of Le Bon Marche on Rue de Sevres), and Confiserie et Compagnie located on Rue de Lourmel in the 15th Arrondissment. The company also opened a chocolate museum, called the Chocolatrium, in 2002 in Damville. The museum is dedicated to educating the public—particularly children—about the process of developing chocolate from cocoa beans to finished treats. It draws about 16,000 visitors annually. This entry was posted in Chocolatiers, Right Bank and tagged chocolate, Chocolatrium, cocoa growers, Confiserie et Compagnie, Damville, Galeries Lafayette, La Grand Epicerie de Paris, Michel Cluizel, Normandy by Bob Adams. Bookmark the permalink.